Do you have any medical condition e.g. asthma or allergy? Please be as specific as you can. Has your contact details changed since last registration? Complete your details here to register with Smash Tennis. We will contact you within the next couple of business days. By registering into the Smash Tennis program it is understood that you have read and agreed to the terms and conditions listed below. 1. If you wish to register your child/children in lessons with Smash Tennis whether Private, semi private, group, squads, social or competitions your position in our programs will be held for the whole term therefore full payment for the terms entirety must be made. If for any reason you choose to leave the Smash Tennis program before the end of the term, you will not be given a refund for any missed lessons and full payment for the term will still be expected. 2. ALL players are to only wear appropriate and correct Hot Shots, Tennis or sporting Attire. This includes correct footwear such as tennis shoes or joggers/runners. 3. 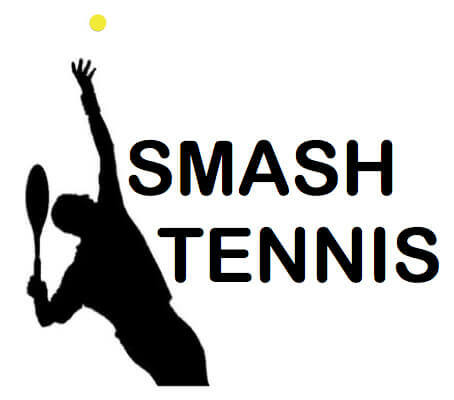 Smash Tennis is under no obligation to make up missed lessons or to credit them if the student is unable to attend. Make up sessions will only be provided if Smash Tennis needs to cancel due to rain, heat or coaches absence. A make up lesson will also be provided only for private lessons who give short notice (minimum of 24 hours notice) due to illness and you must supply a doctors certificate at the next session. 4. (Make up private lessons) for private lessons due to student absence from family holidays, school events etc Smash Tennis must receive a minimum of 4 weeks notice in writing to receive make up sessions. 5. Smash Tennis reserves the right to change class time, coaches, venue?s, combine or cancel classes if necessary. 6. Smash Tennis will do our best to inform you at least 1 hour ahead of any lesson changes or cancellations that may incur including cancellation and change of venue?s or coaches. Sometimes this will be out of our control. 7. Smash Tennis accepts no liability for injury, damages or losses sustained through the involvement in the Smash Tennis Program. While Smash Tennis will take all the necessary steps to ensure the safety of all students the activity of any sport including Tennis involves a general risk outside of our control.